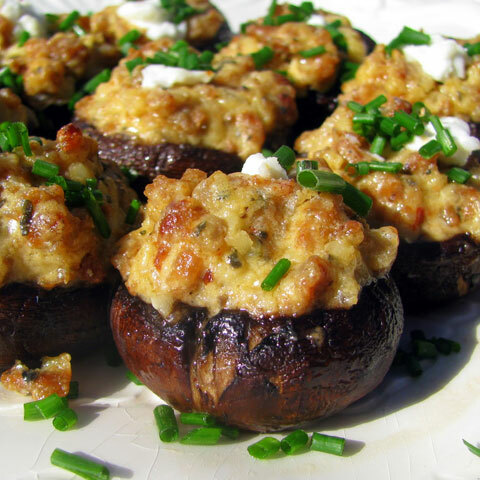 Large mushroom caps stuffed with cream cheese, sausage, spices and topped with mozzarella cheese. Twelve-inch Italian roll topped with garlic butter and a four cheese blend, served with house-made marinara. Creamy, but with a hint of spice, will keep you digging for more! Served with fresh veggies and toasted flat bread. Sliced pickle chips, breaded and fried golden brown, served with ranch. 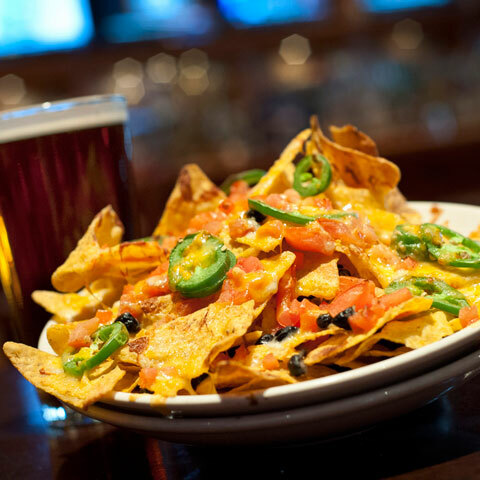 Seasoned beef or chicken, black beans, queso, jack & cheddar cheeses, pico de gallo & sour cream. Marinated buffalo chicken, black beans, shredded pepper jack cheese, lettuce, sour cream and pico de gallo. Breaded and stuffed cheese sticks ready to burst! Served with our house-made marinara. 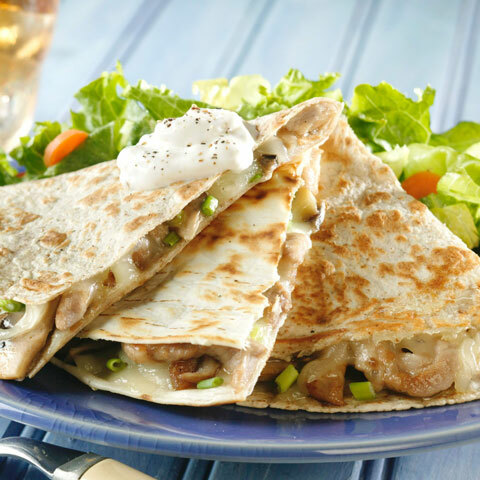 Chicken or steak, pico de gallo, shredded pepper jack & cheddar cheeses melted together and topped with sour cream. Guacamole & salsa served on the side. Southwestern flavor in a crunchy egg roll. Served with Southwest ranch dressing. Eight butterflied shrimp, fried golden brown and served with cocktail sauce. Cheesy goodness, fried golden brown served with marinara or ranch. Fries, tots, waffle fries, sweet potato fries, frings or onion rings. Large pretzel sticks, served with a kicked up beer cheese sauce. Seasoned waffle fries piled high and topped with queso, bacon, three cheese blend and sour cream. Creamy on the inside, crunchy on the outside bite sized pieces! Bite-size pepperoni pizza in a roll up!